While Uesco is one of the largest manufacturers of overhead crane solutions in the country, that’s not all we build. We’ve realized that our capabilities lie not only in building cranes for industrial and manufacturing facilities, but we design custom solutions based on the customers of our distribution partners to meet their own special requirements. It’s our attention to meeting requirements and exceeding expectations which has kept us in business since 1921. 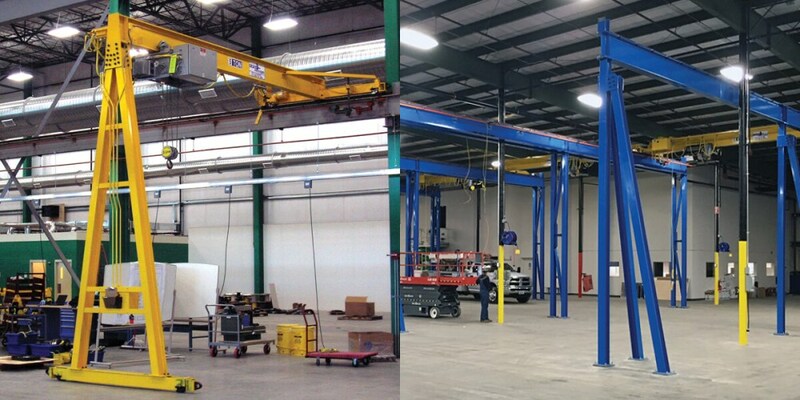 Our masterful engineering team and highly experienced fabrication professionals also build single-leg and double-leg gantry crane systems (both on tracks and trackless) in a variety of configurations. Furthermore, we design and manufacture the best runway systems for overhead crane solutions in the country, many of which have withstood the test of time and use for many decades with the utmost in quality, strength, and performance. All of our cranes, end trucks, and runway systems are made in the U.S.A.